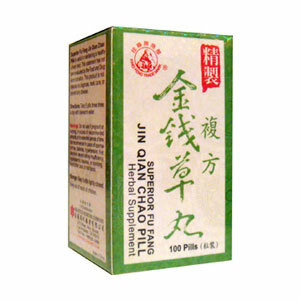 Superior Fu Fang Jin Qiao Chao Pills is useful in maintaining a healthy urinary tract. China National Medicine & Health Products Import and Export Corp.
Take 5 pills, 3 times a day. Do not take if you are pregnant or nursing. Avoid bitter, sour, or hot foods (red meat, coffee, spicy foods, etc. foods that may raise internal heat).